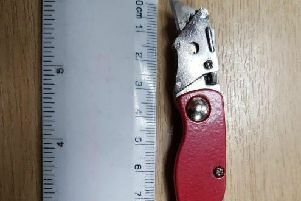 A Haywards Heath man was among four men arrested on suspicion of assault causing grievous bodily harm after an attack left six men with serious injuries, police said. The attack took place in a building in the grounds of the Forman Institute, in Eastbourne Road, Blindley Heath just after 7.30pm on November 7. The men, a 38-year-old man from Haywards Heath, a 34-year-old man from Slough, a 44-year-old man from Hayes and a 40-year-old man from Slough, were also arrested on suspicion of conspiracy to commit GBH and violent disorder on November 14, police said. The six men who suffered serious injuries and a seventh man injured were taken to hospital. All have now been released, police said. Police are appealing for any information which could assist their ongoing investigation. Call 101, quoting PR/P18267846.